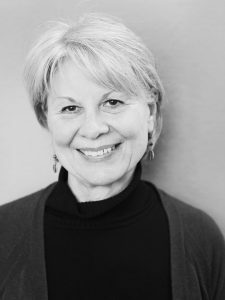 Marie Glotzbach has been a teacher, director, and program administrator for thirty-five years, at both the secondary and college levels, in theatre and vocal music. She earned her Masters at the University of Redlands where she taught Shakespeare and acting courses and also directed for the theatre department. She has held a variety of leadership positions in both state and national theatre education organizations. In addition to teaching, her responsibilities at Skidmore include community relations and fund raising. She is a passionate advocate for the arts and their contribution to the education and life of every student.